Love drawing bugs? 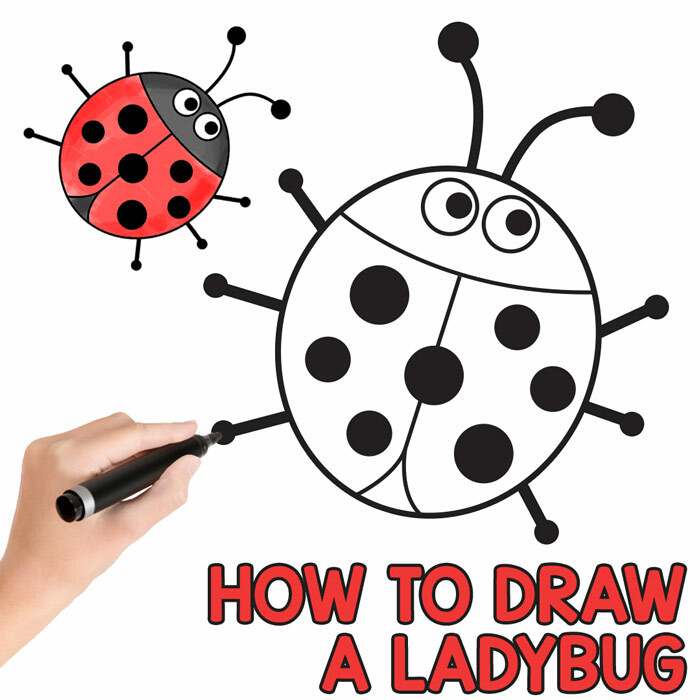 Then learn how to draw a ladybug from the first spot to the last with our easy to follow step by step drawing tutorial. 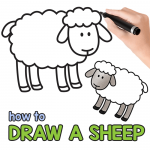 This tutorial is simple enough for kids to follow and will help build drawing confidence. 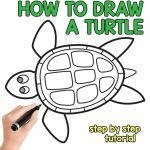 Like our other how to draw tutorials, this one too comes with a handy printable with all the steps – just print and draw on the go. 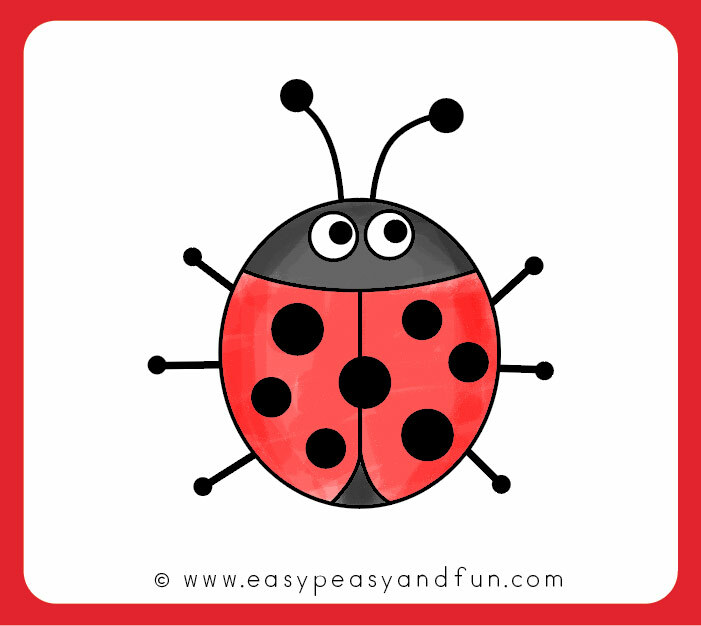 Ladybugs and butterflies are our favorite bugs – we already showed you how to draw a butterfly and today we are learning drawing a cute, almost cartoon like ladybug. 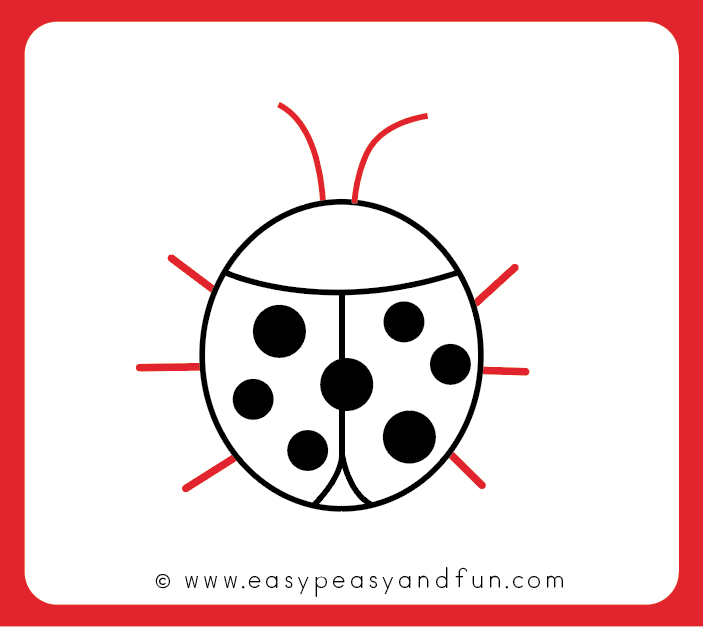 This one is one of the simplest bugs to draw, with just a few basic shapes and strokes you will end up with a gorgeous little ladybird each and every time. If you want to add some easy scenery, why not also draw a few tulips, they are super easy to draw too! 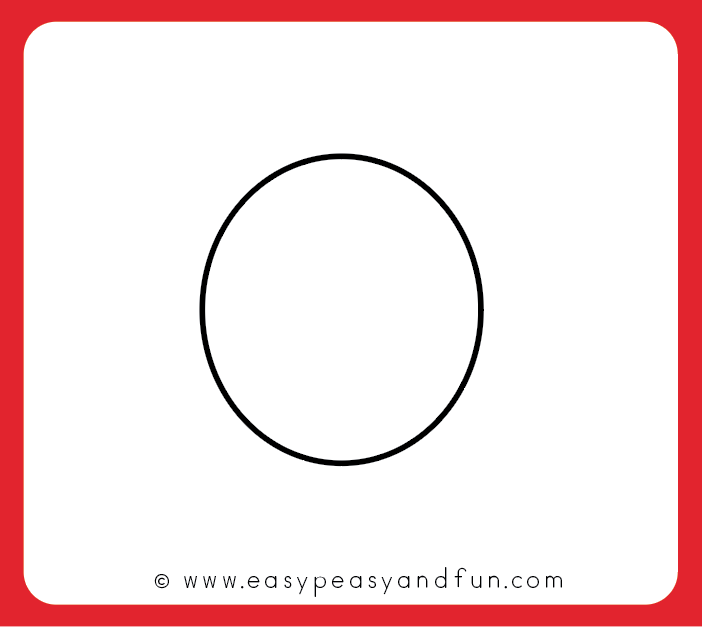 Start by drawing a circle or an oval shape. This will be the body of your ladybug. 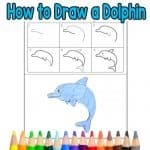 Draw a curved line from right to the left. 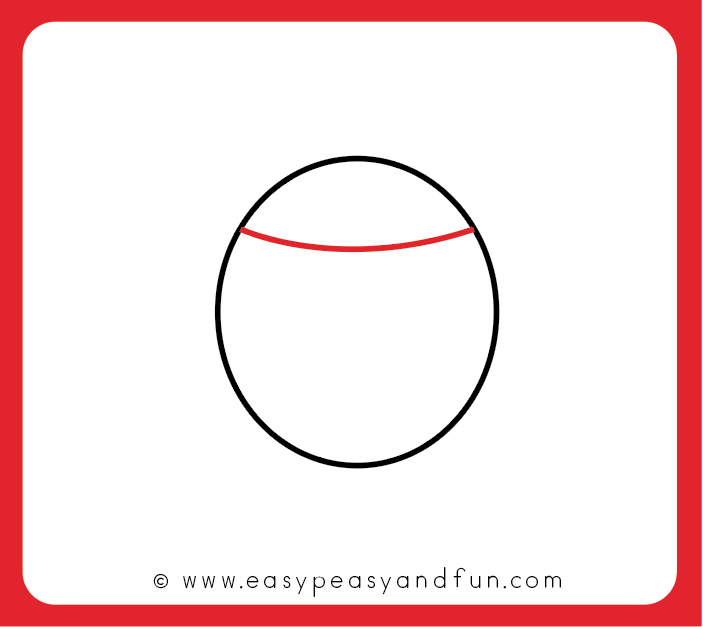 Draw a straight line from top to bottom – stop just before you reach the oval shape. 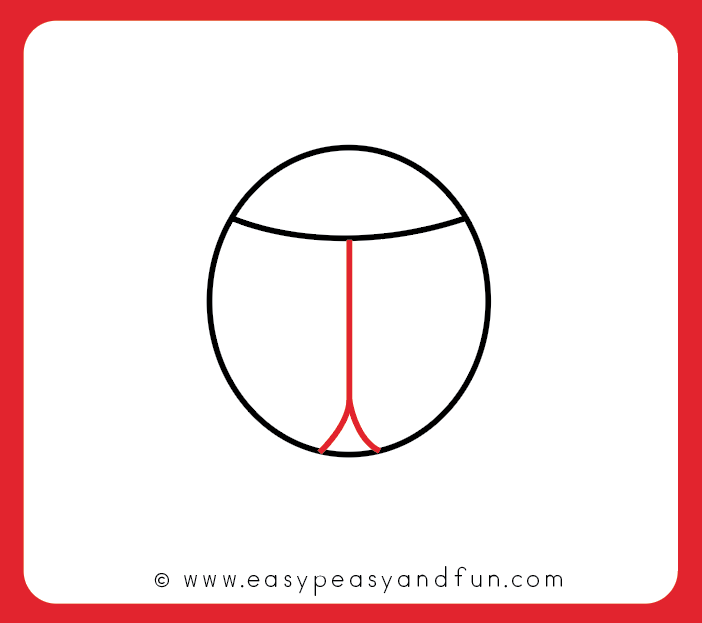 Draw a little “triangle”. Draw dots. It can be 7 as this is the most popular number when it comes to ladybugs, but you can draw more of them or less of them if you want. If drawing 7, draw one between both wings, and 3 on each of the wings. Draw antennae and legs. You can make the antennae straight, curvy or even a bit spiral. 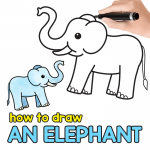 Draw the eyes. Also draw dots on the end of antennae and legs. 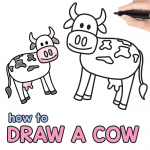 This will make your drawing look even cuter. 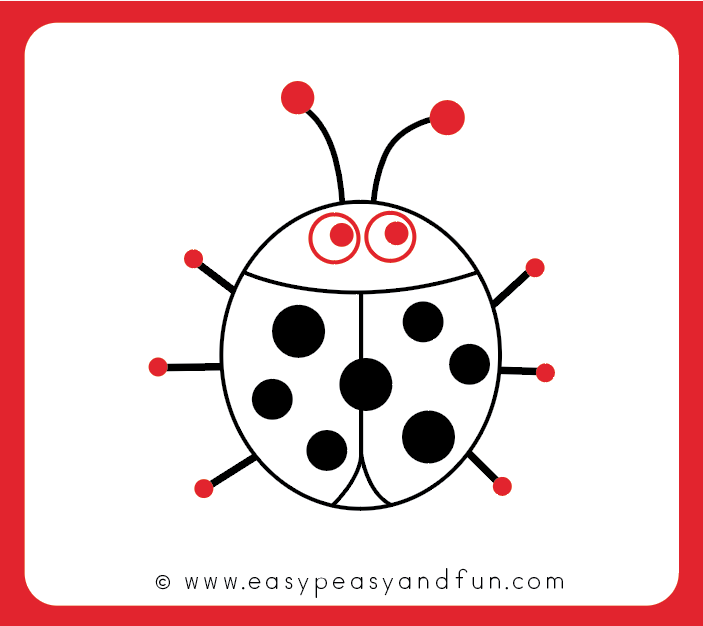 Grab your favorite coloring supplies and color in your ladybug drawing. 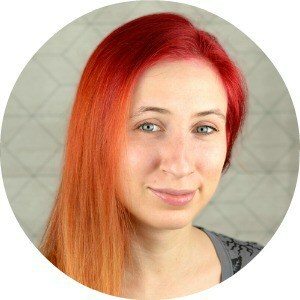 If you want to give it a bit of dimension, color it a bit darker around the edges.